Our passion at My Local News is to provide content that is both informative and engaging to local readers throughout America. For the last several years we have been fine tuning our web platform within Arizona and now are ready to expand. We are looking for publishing partners that also believe topics such as local news, events, opinions, sports, arts, education, politics etc. are vital to a communities fabric. We are committed to providing fair and balanced news and not to mislead our subscribers with a political or social bent. Contributors: If you feel that you have the skill set and desire to become part of our team we ask that you submit a minimum of five articles for review (Links are in the footer area at the bottom of this page). The articles should be written with reference to a City or Town within the United States in which you live, go to school or spend your free time in. We will then review your submittals and if we feel that they meet up to our expectations will create and promote a community news site. As we generate revenue you will be paid per post with bonuses for articles that trend well on social media. Contributors are both paid and unpaid. Many Contributors use our platform to enhance their resume while they continue to build their journalism skill sets. 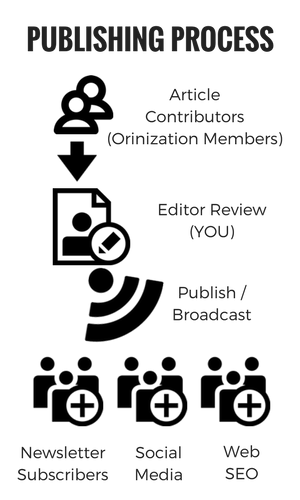 Editors: An Editor of a site can both publish their own articles and approve other contributors submittals as well. Editor’s are usually responsible for a particular city or town news site but can often cover several communities within a state. Publishers: When you become a My Local News Publisher you get all of the benefits of a small town (or large city) newspaper without many of the costs. Your subscribers often become your news contributors as well with the ability to register and submit articles quickly and easily. You and those that you assign as Editors have the opportunity to review every article before they are published. There are also several opportunities for you to earn local advertising and paid content revenue as well. After looking around our site you feel that you have the skills, energy and commitment to be a great publisher please fill out the application below. For other questions please contact us.